作者: The AsiaN Editor on 26 November , 2016. 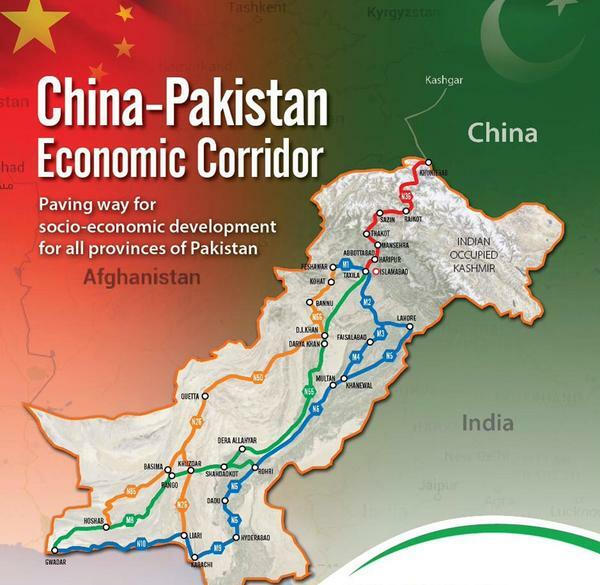 The CPEC (China–Pakistan Economic Corridor) a window of opportunity for rest of the world after strategic role of the Chinese government that remained a friend of Pakistan always stood with at every critical juncture, whereas, Russia and other countries have now revealed interest in the CPEC activities. It is to be mentioned here that Pakistan Steel Mills was the project under an agreement between Pakistan and the Soviet Union in the 70s, Pakistani government now plans to privatize it in near future and Russia is also eyeing Pakistan as a destination for its investments and trade activities after Afghanistan, India-US relations despite constraints. 35 members of KPK (Khyber-Pakhtunkhwa), Baluchistan, MNAs, MPAs, Senators Malik Noor Saleem Khan, Amina Sardar, Syed Mohammed Mahir, Hidayatullah Khan and others while on the visit to Provincial Assembly Sindh, they said CPEC would be a future hub of world trade to boost regional countries economy. According to them KPK and Baluchistan lawmakers are native from different parts of western routes and other locations so that there are no confusions of provinces on CPEC and the people of KPK and Baluchistan are unanimously supported this development, but few anti-CPEC elements are creating conspiracies for their vested interests. The CPEC will open the venues of immense economic opportunities in Europe, South, and Central Asia as well the world over through historical silk route to Gwadar Seaport functional now and rapid growth of the economy is expected told FWO Director General. The CPEC agreement of $46 billion between China and Pakistan to develop communication network of highways, railway network, pipelines to transport oil and gas, oil terminals and refinery, the wind, solar and hydro energy installations and telecommunication infrastructure and energy projects. Major General Mohammed Afzal told that anti-elements tried to destabilize and tarnish the image but organization hard work to connect Karakoraum Highways via KPK, Baluchistan to Gwadar port, ultimately FWO successfully achieved the objectives and simultaneously synergized activities of trade and logistics. FWO chief disclosed that the work on eastern and central alignments of routes and widening of highways to connect substitute is also in full swing in Pakistan to achieve more CPEC objectives on different passages. He assured that Hyderabad-Karachi Motorway and Thatta dual carriageway road would also be completed within the stipulated time that will further to connect Gwadar Highway in future. However, key trade representatives of scheduled CPEC-Business Development Conference on November 30th, 2016 in Karachi, told that the business community of Pakistan and other countries would future plan; they appreciate such a development and will contribute to the growth and development of the economy.